Toy Fair is where adults become children again. Every toy company has booths to present their collection of toys and new releases for the upcoming year. In fact, some toys are so new that the companies only have the prototype available for display. As a courtesy, we ask if photos can be taken because yes, sometimes the releases are top secret. As a parent and an educator, and well a child at heart, it was amazing to see what each company’s toy selection includes. It gave me such insight to see the passion the creators of the toys have for their product. We opted to highlight a toy or series from the companies that impressed us and separated into categories such as: academic and cognitive, art, imaginative play, and STEM. In this section “Brain Boosting Academic and Cognitive Toys” relate to toys that increase educational knowledge and enrichment as well as skills that encourage problem solving and reasoning skills. At Mommy University, we are big fans of Tiggly which has launched Tiggly Counts and Tiggly Shapes. Each is a physical toy that interacts with games on the iPad, and the best thing is the educational value. 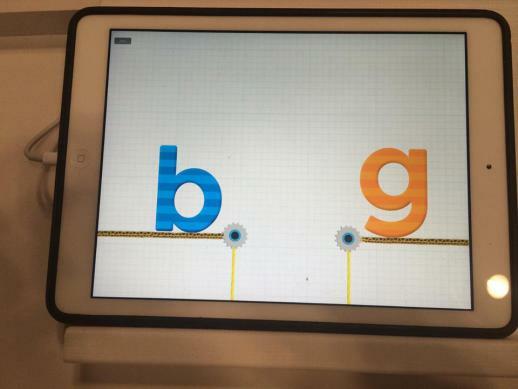 Of course, we were excited to learn about their new expansion to letters with Tiggly Words. More specifically, the game comes with vowels that children can use with the apps to identify letters, build words and increase reading skills including decoding and comprehension. We cannot wait for this amazing toy to come out this spring! What vowel did we throw in between the consonants? 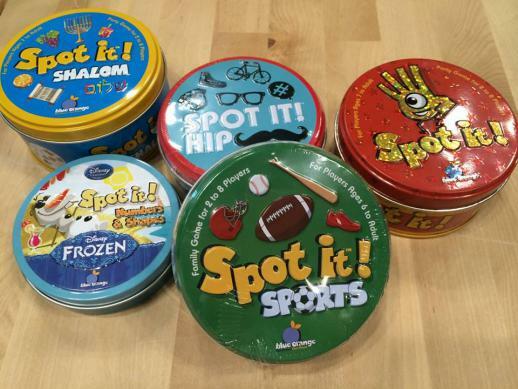 SmartGames puts together some fun and mentally challenging games for children to adults. 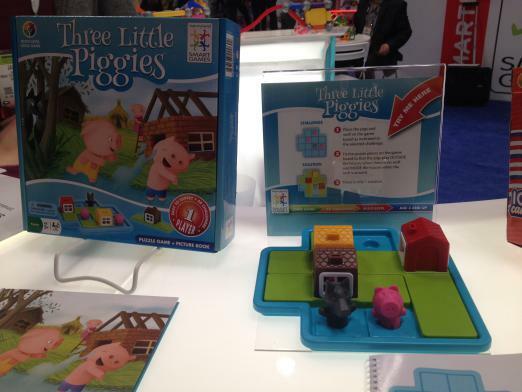 The release of Three Little Piggies includes a book so that story telling can be incorporated with the game which is ideal for children ages 3-6 years old. It includes 48 challenges which translates into hours of fun! 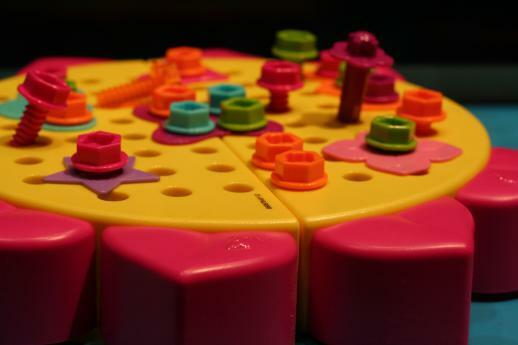 This game also opens the door for cooperative play as well as developing problem solving skills. Read our Three Little Piggies review here. Story time, play time, puzzles: All make for a fun learning adventure with Three Little Piggies. Building toys always have a brain boosting element and Ionix is no different. 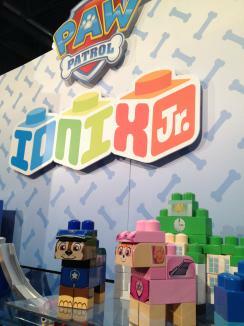 What appealed to us viewing the new Paw Patrol Ionix set is that it is the perfect size for small hands to manipulate. Paw Patrol fans will be familiar with the characters making putting them together exciting and educational. Once they feel comfortable with Ionix system, they will expand to their own creations. These blocks also help introduce concepts such as color recognition and counting. The Ionix set develops an appreciation for building as well as imaginative play. Games, games and more games. You can never have enough high quality games such as Spot It. This is a simple card game easily contained in a small tin which is the perfect size for traveling. Players have to find the matching symbols (letters, images, numbers; the option depends on which version you have) on two different cards. I have Spot It for my son to help reinforce letter identification but any version helps develop cognitive skills and the ability to compare and contrast. There are many options which will appeal to the interests of your child (and there are even more than what was photographed here). We are really big fans of Crocodile Creek puzzles at Mommy University. Not only do they contain sturdy pieces to make a puzzle, but these toys, when stored in their container, become a whole new toy. The colors and designs are attractive which will be wonderfully placed on a shelf when not in play. From trains to trucks, children can play with these toys in more than one capacity. Puzzle or fire engine? Either way, kids will have fun playing with this toy. Building toys help boost problem solving skills as well as assist in children develop their imagination. Gears, Gears, Gears introduces engineering concepts to toddlers to preschoolers. The concept behind this open ended toy is that children make their own creations. As the pieces interlock with each other, children turn the pieces which causes movement. This is a popular toy traditionally offered in primary colors, however recently they have released new models that attract the eyes of little girls by using bright colors and feminine details. We are geared up for the bright and bold new additions to the Gears family. I had learned of Design & Drill prior to Toy Fair as a friend could not stop boasting about this toy and how much her son plays with it. It is currently on my son’s wish list for his birthday, but at Toy Fair I saw additional models including Flower Power Studio which is definitely marketed for girls with it’s hues of pink, yellow, and green. 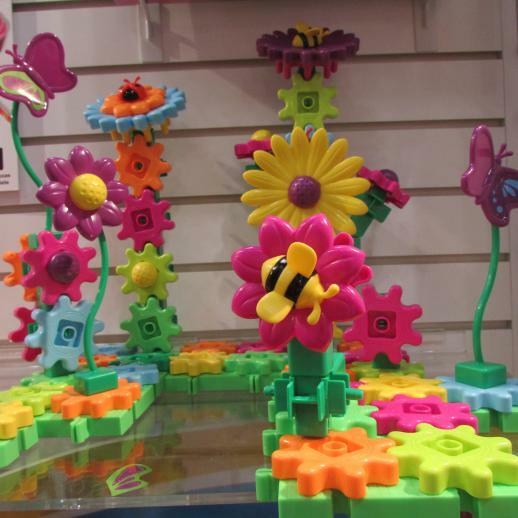 Design & Drill puts an electronic toy sized drill in the hands of your child where they can drill screws with different accessories on the oversized flower. It helps children develop hand-eye coordination and problem solving skills as well as pattern skills. Since both of my children are born in July, they now both have Design & Drill on their wish lists. Shaped like a flower this can be folded in half for easy transportation. 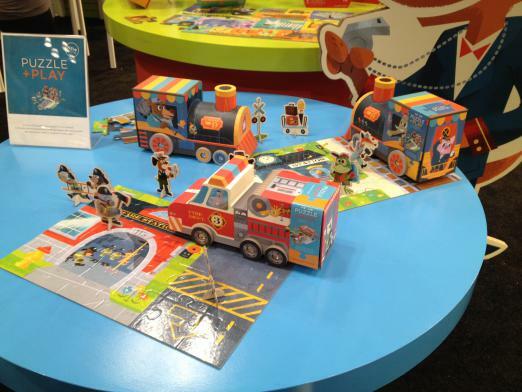 For more exciting toys from Toy Fair, check out our STEM article!